Here at The Millionaires Giving Money Blog I'm always asked how to make specific amounts of money. Recently a reader of the blog asked me how to make $50 dollars quickly so he can replicate the process and make $50 dollars whenever he needs to. This got me thinking and eventually I came up with 10 ways to make $50 dollars very quickly. 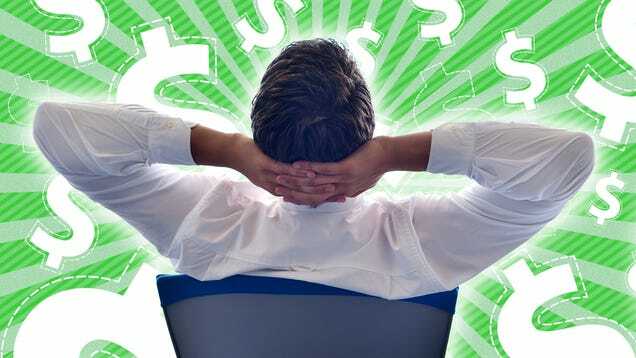 As always I like to advise my readers of taking financial charge of their future and learning how to make 50 dollars quickly is one way of getting out of poverty and then investing in your future. You can definitely make money and you can improve your future if you persevere and have a positive paradigm. So without further ado here are the 10 ways to make 50 dollars. Upselling items on eBay is a great way to make 50 dollars quickly. This process is becoming more popular but it does require a eye for finding products where value can be added. The idea is simple, you find great products which are in need of TLC and then buy them. You then add value and resell them by improving on the pictures posted and description added. This is a very lucrative process and the more you do it the better you get at it. Creative people with imagination can think up products and then sell them on sites like eBay and Amazon. The key is finding a unmet demand and then supplying the product. It does take a lot of research and one possible solution is to find products which are made abroad where there is great demand and then make these items at home so people save money on shipping costs. The number of spare rooms in the USA and UK which go unutilised is astounding. I know many people who have a spare room who could do with a few bucks refusing to rent their rooms out to strangers. If you're serious about making money this is one Avenue that needs to be pursued. To get started clean up your room and take pictures and post them on sites like Airbnb. You should always do a credit check on the person and ask for references from their last two places of residence. By renting your room out you could make $50 dollars every few days by renting your room. The number of phones, laptops, and electrical equipment people throw out is mind boggling. Despite there being value in these products people just check them in the bin. To make money you could drop a leaflet asking for people's electrical junk and then sell the items on sites like eBay. There is demand for new and old stuff and you could make 50 dollars just by selling a few items online. There is a lot of demand for specialist equipment which people needs to use once but are reluctant to fully purchase. You could make money by putting these items for rent through specialist sites. If you have high spec camera's or tools people are willing to hire these items. You could easily charge $50 for a weeks rental, if you can do this a few times a month you could easily generate $150 a month or $1600 a year. If you consider yourself a culinary expert you could start a small catering business. The demand for caterers is ever increasing as people's lives become busier and their need to get external help rises. Take advantage by offering a cheap and cheerful menu at competitive prices. If you can cook delicious food you will get orders and you will make $50 very easily. There more seriously you take this the more money you can make. It's now easier than ever to write and publish your own book on Amazon Kindle. The pen is mightier than the sword which means if you have creative skills you will make money. If you lack the creative skills just find an excellent book with high demand and then improve on it to capitalize on some sales. Writing and publishing books is a great way to make 50 dollars passively and quickly. Making a premium bar of soap costs a dollar and depending on the ingredients used you can sell it for anything between 10 and 20 dollars. I know people who make Glycolic Kojic Acid Glutathione Soap and then sell it for $10. If you enjoy mixing chemicals and packaging products this could be for you. If you can sell at $10 a pop you just need to sell a handful of bars to make 50 dollars. This option is worth pursuing if you have spare weekends or can work nights. Join a agency for temps and then work whenever you're needed. The rate for temporary workers is higher because they're called with short notice so you could earn 50 dollars per day for doing a few hours. If you can repeat this a few times a week by becoming a reliable worker you could make a lot of money. Some people enjoy driving and if you're one of those people who can see themselves behind the wheel of a car you could make money by signing up to Uber. Uber is a online taxi service where you can book a taxi online. You can even share a ride and split the costs and the beauty is its all done online. You can even get money for referring drivers. If you like driving you could make anything between $200 and $500 dollars per week working full time after costs which makes it worth considering.